Why and how did Oriental carpets become one of the most important export sectors – and the one with the largest number of women employees – in the late Ottoman Empire? By taking carpet production in regions outside the historical production centers of Western Anatolia as its focus, the presentation evolves around this question and delineates the links between the encroachment of global capitalism into the late Ottoman Empire and the increase of women workers in the late Ottoman production sectors. It contributes to the existing scholarship on the late Ottoman economic history and labor history by contextualizing the rise of female labor within a hitherto neglected and even silenced context, namely the mass-violence against Armenians in the 1890s and 1909. The presentation examines the ways in which Armenian women and children in post-violence Armenian communities in the central and eastern regions of Anatolia were incorporated into the global markets as a vulnerable, organizationally weak and cost-efficient workforce for the flourishing oriental carpet sector. It focuses on how various local, regional and transnational actors, namely merchants, community leaders and missionaries fused discourses of humanitarianism and charity with market’s role in community reconstruction in a violence-stricken community while global commodity and financial markets made their ways into Anatolia. The presentation also aims to historicize the economic trends, particularly the role of growing numbers of women and refugee children in small commodity production sectors in the recent history of Turkey. Yaşar Tolga Cora is a historian of the social and economic history of the late Ottoman Empire with a particular focus on Armenian communities in Anatolia. He received his M.A. in the Nationalism Studies Program from Central European University and his Ph.D. degree from the University of Chicago in 2016. He served as a post-doctoral fellow at the Armenian Studies Program and Department of History at University of Michigan, Ann Arbor in 2016-17. He is currently a lecturer in the Department of History at Boğaziçi University, teaching courses on the late Ottoman Empire, the Turkish Republic, Ottoman Armenians, and Modern Middle Eastern history. Dr. Cora has published on the histories of merchants, entrepreneurs, and commercial and industrial relations in the late Ottoman Empire in journals including the International Journal of Turkish Studies and the Journal of the Social and Economic History of the Orient. He translated and edited the memoirs of an Armenian officer who served in the Ottoman Army during the Great War (Harbiyeli Bir Osmanlı Ermenisi: Mülâzım-ı Sânî Kalusd Sürmenyan’ın Birinci Dünya Savaşı ve Tehcir Anıları, Tarih Vakfı, 2015) and coedited a volume titled The Ottoman East in the Nineteenth Century: Societies, Identities and Politics with Dzovinar Derderian and Ali Sipahi (I.B. Tauris, 2016). 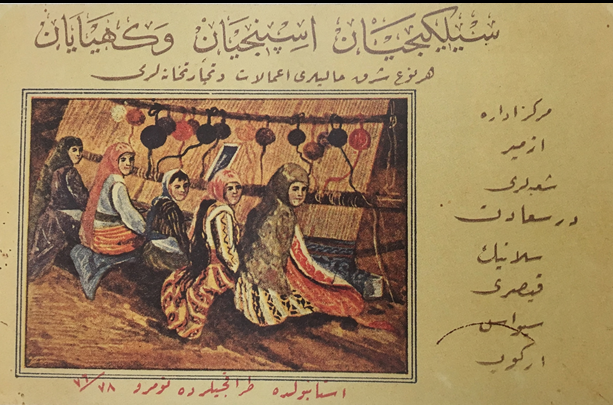 Dr. Cora is currently working on textile and carpet production among Armenian communities in the late Ottoman Empire.